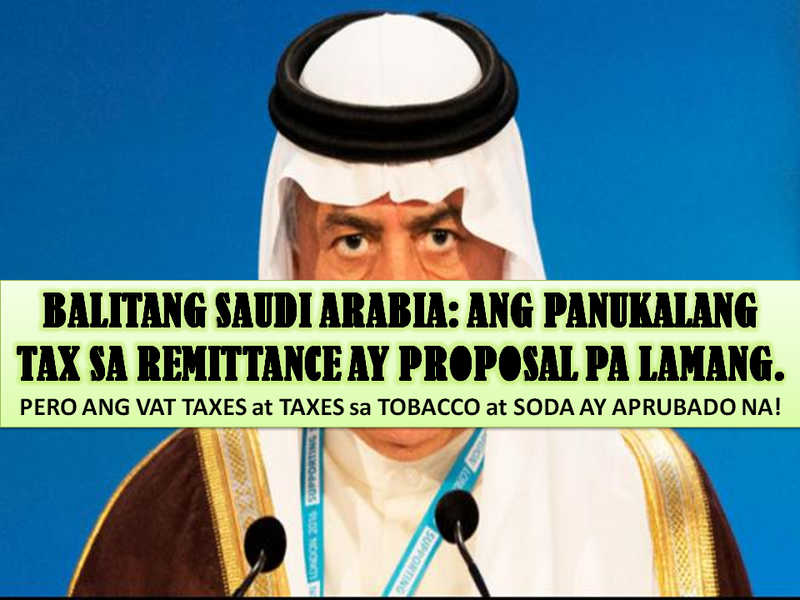 THOUGHTSKOTO Thoughtskoto : SAUDI ARABIA IS PROPOSING 6% TAX ON REMITTANCES? Saudi Arabia’s finance minister denied reports that Saudi Arabia is imposing a 6% tax on foreign remittances, and that there are no plans to tax their citizens. Saudi Finance Minister Mr. Ibrahim Alassaf says the income tax for expats for their money to be sent home is merely a proposal in the Shoura Council, and is not yet approved. But the Finance Minister confirmed that there are two approved taxes, the VAT or Value Added Tax which will be implemented sometime in 2018 and the increase tax on harmful substances like tobacco and other sweet and sugary products like Soda's. 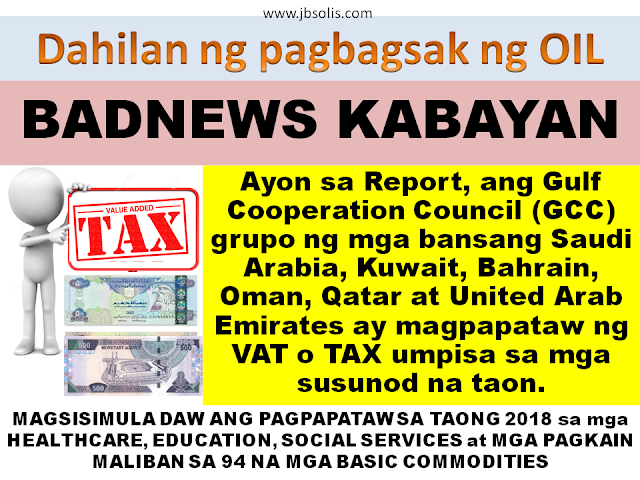 Saudi Arabia, Kuwait, Bahrain, Oman, Qatar and the United Arab Emirates Will Introduce Tax? According to reports, the Shoura Council finance committee is backing the proposal on remittance tax on all expatriates sending their money back home from 6% on the first year of the implementation down to 2% on the 5th year. So if you are sending 10,000 SAR, you will pay 600 SAR down to 200 SAR after 5 years. The propose tax will be for all the money being transferred by an expat to his/her home country every time he/she will remit.